Sign up to our weekly email here. Our theater opens 30 minutes before the first movie of the day. When you need to reach us directly, please email us through our contact us page or call during our normal operating hours (between the first and last movie of the day). Because we are busy helping customers, we often can't answer the phone, so the quickest and easiest way to contact us is by our online form. Most emails are answered within a couple of hours. Thank you! We look forward to hearing from you! 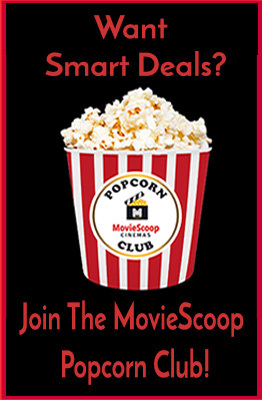 MovieScoop Cinemas is an independent theater chain based in Pittsburgh, Pennsylvania. And MovieScoop's sister theater, Century Square Luxury Cinemas, in West Mifflin, Pennsylvania. We love hosting special events and screenings! 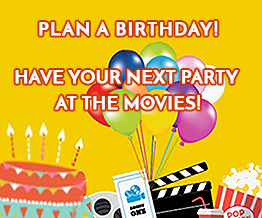 For birthday parties, click here, for more information contact us. 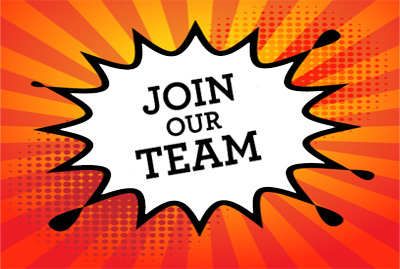 Click here to see openings and to apply.